Pepe - The Cute Guy helps you share your emotions in a cool, fun and expressive way. He’s handsome or just terribly cute, grumpy and in love and he can definitely make your day better. 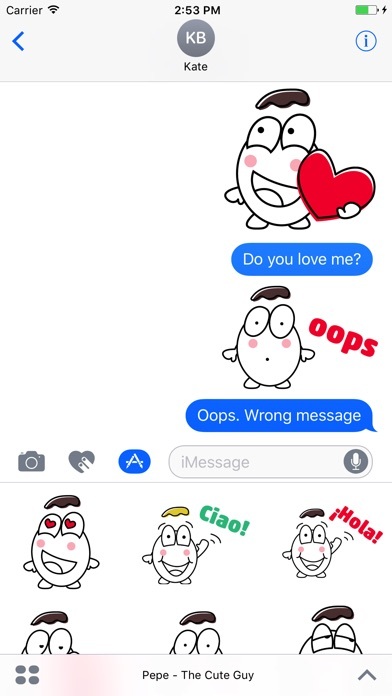 Use Pepe’s stickers anywhere on your iMessages or over your photos in chat have fun and make your friends laugh.